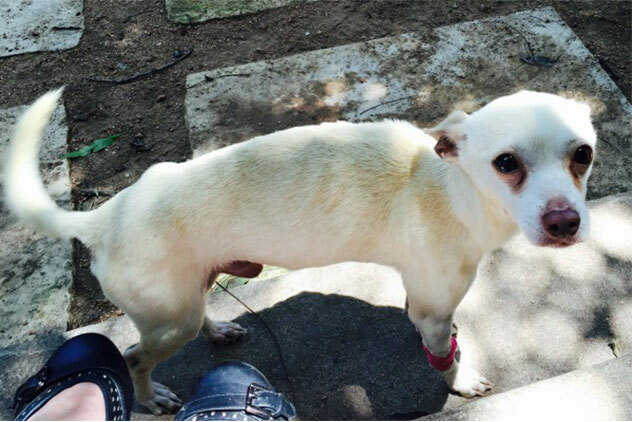 Flood rescue Nieve, with severe internal injuries, was saved by Austin Pets Alive! The Petfinder Foundation is continuing to help shelters and rescue groups recover from recent devastating floods in Texas and Oklahoma. 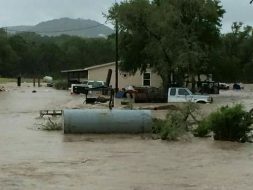 The Foundation recently granted $10,000 to Austin Pets Alive!, which suffered extensive damage when it was flooded on Memorial Day and has also been called on to take in pets from surrounding towns and counties affected by the widespread flooding in central Texas, where shelters are overcrowded with lost and rescued pets. Flooded kennels at Austin Pets Alive! 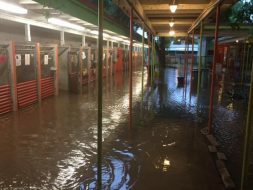 The Foundation’s grant will help fund repairs to APA’s shelter: Its roof failed under the torrents of rain and its ground level was flooded. The rain-damaged parts of the building must be replaced quickly, as mold develops rapidly in Austin’s climate. The grant will also help pay staffers, who worked nearly 200 extra hours to coordinate the fostering out of all the shelter’s animals, and cover medical intake (including vaccines, tests and microchips) and spay/neuter for pets taken in from surrounding regions. One pet rescued from the floods just in time is Nieve (pictured above). The little dog suffered a tear to his diaphragm that allowed his organs to migrate into his chest cavity. APA’s vets operated, and he’s now recovering in foster care. “We’re so grateful to be able to help pets like him because we are getting such great support from foundations like yours,” says Lynch. The Petfinder Foundation also granted $1,000 to two organizations that suffered damage to their facilities and destruction of pet food. In Pipe Creek, Texas, our grant will help A Doggie 4 You replace more than 20 bags of dog food destroyed when storm rain and wind tore through its feed room. Please donate now to help us continue to help shelters and rescue groups affected by flooding in Texas and Oklahoma!